Discover The 5 Things You MUST Do To Stop Jealousy In Your Relationship and Life AND how you can get our personal one-on-one help to make it happen quickly. 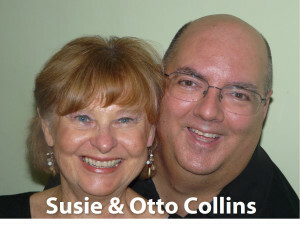 [text_block style=”style_1.png” align=”left”]Hi, we’re Susie and Otto Collins and we specialize in helping men and women break free from jealousy and discover the courage and strength that’s inside them so they can enjoy the deep, lasting love they’ve always wanted. If you’re tired of struggling with the embarrassment and uncertainty of jealousy on your own and you’re ready to take action to a happier life, you’re in the right place. Stop destructive and embarrassing behaviors more quickly so you can handle jealousy-inducing situations from a more grounded place inside you. Understand your feelings and deal with your jealous tendencies instead of reacting to them. Let go of unwarranted fears and create a healthy relationship. Learn strategies that you can apply in daily life that will support you in living a jealousy-free life. Gain the confidence you want so you’re not constantly living with unfounded fears from the past. Be in control of your actions and not at the mercy of suspicious thoughts and feelings. Learn how to talk about your concerns and make requests in a way your partner can understand. 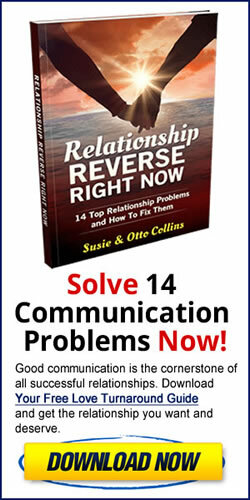 Create agreements with your partner that will foster trust in your relationship. …we spend most of our time supporting you in creating specific, actionable ideas, strategies and techniques for overcoming your jealousy before you destroy your relationship. You’ll like working with us because since 1999 we’ve been writing, teaching and sharing our insights and strategies on how to have close, connected happy relationships with people like you–and we “walk our talk” in our own relationship. Our “No More Jealousy” program has been helping men and women like you overcome their jealousy for years. Most relationship coaches and therapists focus on general relationship issues and can certainly be helpful in certain situations. But if you’re dealing with jealousy, you want to work with an expert who specializes in stopping jealousy. And… the fact is, we’re a couple of a select few relationship coaches who specialize in helping clients stop jealousy and are two of the world’s leading experts on overcoming jealousy. Our belief is that love, passion and intimacy doesn’t have to die–ever. Jealousy is one of those things that rears its ugly head and blocks the flow of love between you and your spouse or partner. What are our Jealousy Coaching rates? The sessions are $125 for a one hour session and we offer a discount if you sign up for our “4 Session package.” The 4 session package price is $375. These charges are non-refundable. This means, with the 4 session package–it’s like paying for three sessions and getting the fourth one FREE. With the purchase of either package, you’ll receive our email love and relationships newsletter free of charge. You may unsubscribe at any time. Contact us: by email or call (614) 568-8282 9am-9pm Eastern Time. It would be our privilege to work with and support you in creating what you want in your life. If you’d like to find out more and explore whether working together would support you, contact us and we’ll schedule what we call a coaching conversation. Thank you for your interest and we look forward to meeting you.